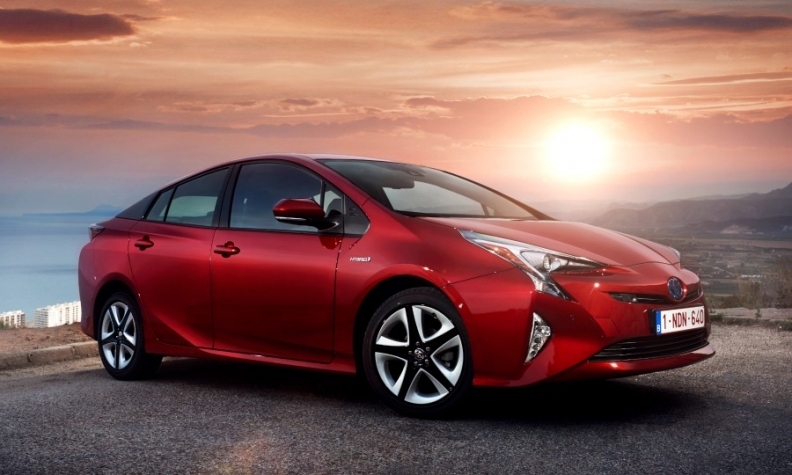 Toyota dominates the global gasoline-hybrid car market with models such as the Prius. TOKYO -- Toyota Motor Corp. said it would expand the development of its gasoline-hybrid technology over the next five years to speed up the introduction of lower-emission engines in the face of stricter global-emissions standards. The announcement today was the latest by the automaker aimed at making greener cars as global automakers face tighter regulations in China, the U.S. and other regions that will require more environment-friendly cars in the coming years. In addition to improving the efficiency of its hybrid systems and gasoline engines, Toyota is stepping up the development of longer-range battery-electric cars in a shift from its strategy of promoting hydrogen fuel cell technology as the future of zero-emission vehicles. Toyota said it would expand personnel on its hybrid technology development team by 30 percent through 2021, by which time it aims to introduce 19 new lower-emission powertrain components made on its recently introduced common manufacturing platform. "We need to take an aggressive approach to deal with changing regulations," Toshiyuki Mizushima, president of Toyota's powertrain division, told reporters at a briefing. By 2021, at least 60 percent of Toyota vehicles sold in Japan, the U.S., Europe and China will feature new powertrain components which will reduce carbon dioxide emissions by 15 percent or more compared with the average amount of emissions of vehicles sold in 2015, the automaker said. Mizushima said that hybrid technology would be key to developing more zero-emission vehicles. "The core technology of plug-in hybrids and electric and fuel-cell vehicles is based on hybrid technology. By increasing our hybrid team, we can leverage new developments for use in electric powertrains," he said. Toyota is speeding up the development of lower-emission cars, last month appointing President Akio Toyoda to lead a new electric car division to accelerate the development of battery-powered cars. Toyota has pledged to reduce global average CO2 emissions of its new vehicles by around 90 percent by 2050. To this end, Mizushima told reporters that he expected the take-up of hybrid vehicles to increase, accounting for around 20 percent of Toyota's global annual vehicle sales by 2025, from around 10 percent now. While Toyota invests heavily in alternatives to conventional engines, it believes gasoline engines and hybrid systems will play a large role in the medium term as it will take "quite some time" for electric cars to become a common sight on roads and highways around the world, given their limited driving range and charging infrastructure.